Poor drainage has canceled Little League games over the years. A county grant will allow the village to start work next year on regrading the land and putting in turf. Canceled baseball games and kids “slipping and sliding” on wet grass may be a thing of the past after synthetic turf is installed at a Freeport baseball field. 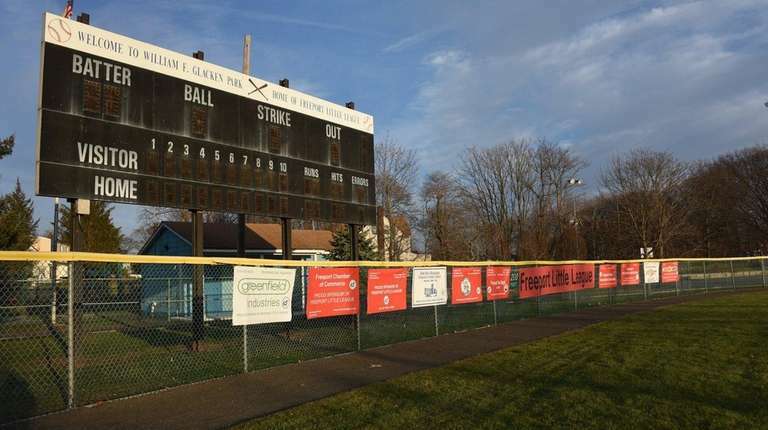 Freeport Village Mayor Robert Kennedy said a $385,000 grant from Nassau County will go toward removing grass currently on the Glacken Park field, regrading the land and installing the turf. The board of trustees approved an intermunicipal agreement with the county on Dec. 4 to begin the project. Glacken Park, a 2.86-acre village park in northwest Freeport, also has basketball courts and a handball wall in addition to the Little League regulation-size diamond. The baseball field is primarily used by the Freeport Little League and the Police Athletic League, as well as other community organizations for 800 to 1,000 hours a year, Kennedy said. It has been suffering from poor drainage for years that caused ponding on the field that had to be drained before games could begin, he said. Freeport Little League president Michael Aviles said that in the spring, each of the league’s 20 teams had about five of the season’s 16 games canceled because of rain or poor field conditions. “If it rains tonight, you can’t play tomorrow’s games because you have to prep the field” if it is grass, Aviles said. He said synthetic turf will also help the league attract more tournaments from other organizations. Nassau Minority Leader Kevan Abrahams (D-Freeport) said he has heard complaints over the years from families and baseball leagues in his capacity as a legislator and a Little League coach. The funds come from Nassau County’s Community Revitalization Program, Abrahams said. 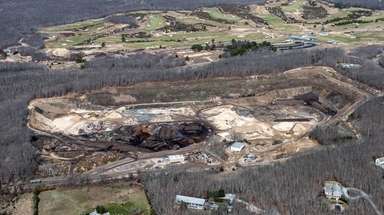 “I feel very optimistic that we’ll at least have a contractor in place by spring,” Abrahams said. The village now must put the project out for a bid, though the mayor anticipates that some of the work can be done by village employees. The village will pay for any additional expenses, but Kennedy said he believes $385,000 will be enough money for the project. Kennedy said the work will be done either before the baseball season or afterward, so that teams can still use the field in the spring, adding that he hopes it will be completed by the end of 2018. Kennedy said the turf will be more environmentally friendly and cheaper for the village because it won’t require fertilizer or constant maintenance. The turf is expected to have a life span of 15 to 20 years.